For too long, only mad scientists in the Dr. Frankenstein tradition have been bold enough to challenge death. Finally, two respectably under-achieving grad students will strive to cure mortality. The initial signs are promising in Anthony Dixon’s moody Canadian indie, The Dead Experiment (clip here), which screens tomorrow during the 2013 Fantasia International Film Festival. Woozily staggering home, Chris looks like death warmed over—and well he should. According to his hysterical fiancée, Maddie, he has been dead for two weeks. This is difficult news to accept. Yet, his reincarnated presence makes a certain amount of sense. After being cut from his post-grad program for general dodginess, he and his childhood friend Jacob started developing a radical procedure to rejuvenate cells. It seems to have worked. 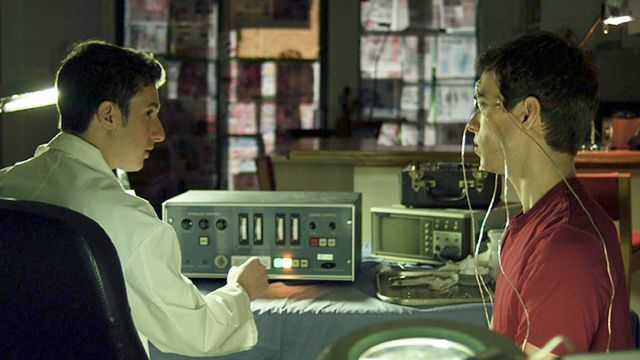 However, as Chris and Jacob start documenting his cure, complications arise. Indeed, independent filmmaking is always an adventure. Nonetheless, Experiment earns points for its fresh take on the reanimation motif. What is typically grist for horror and gore, Dixon essentially re-purposes into chamber science fiction. He and cinematographer Fraser Brown also maintain the nocturnal atmosphere and mounting claustrophobia quite effectively. While Experiment’s shortcomings are what they are, it is exactly the sort of inventive Canadian genre production Fantasia takes pride in supporting. Based on its merits, Dixon ought to have a shot at bigger budgeted projects. 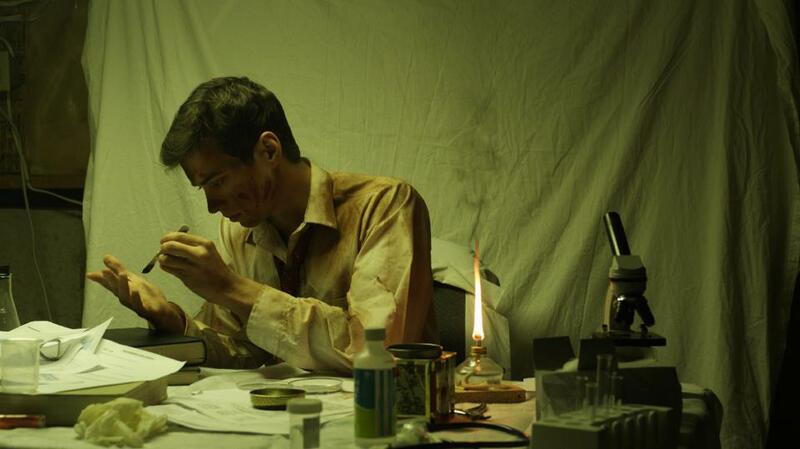 An intriguing indie, The Dead Experiment screens tomorrow (8/1) at the J.A. De Seve Theatre as part of this year’s Fantasia International Film Festival.